Among other things I’m a historian. And as a historian, you feel even more connected to the old adage that those who don’t learn from history are doomed to repeat it. Now, as a technology advocate (which I’m told is a new age term for “computer geek”) I’ve watched the history of tech change so rapidly and flash by so quickly, that history can repeat itself in as little as ten years. 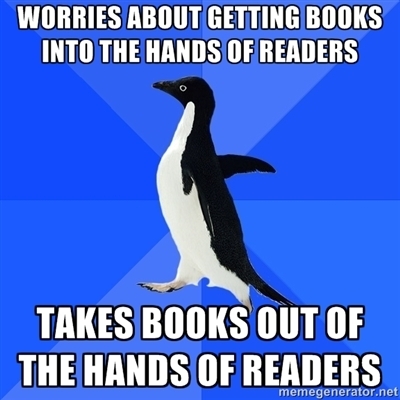 Case in point: Penguin Publishing. Penguin decided that what it really needed to do was to stop allowing library users the privilege of checking out Penguin e-books for Kindle, Additionally they suspended new books from the popular OverDrive service used by many libraries. The reasons behind this were “security concerns.” I guess that they’re worried about library users checking out Penguin eBooks and then pirating them. More and more, publishers are looking at library based digital lending programmes the same way the music industry viewed Napster back in the early 2000s. I can honestly say that when it comes to a technical person like me, the possibility of pirating a loaned Kindle book isn’t far off. It can be done, certainly, but given who I see checking out the most books from our digital collection, it’s not bloody likely. See, I’ve helped a lot of people with their eReaders, and eReader questions and support, and demonstrated how they can get stuff onto their devices from our websites. You know who most of them are? No seriously, a lot of them are older folks. Not exactly senior citizens though there are a fair amount of them. Most of them are middle aged and older and have absolutely zero interest in pirating a book. That’s fortunate since, given the questions I’ve had to answer, they also have no technical knowledge that would facilitate pirating a loaned eBook. They do exactly what librarians think they do – check out an eBook, download it to their device, read it, and return it so they can check out more eBooks. Libraries have this habit of buying a lot of books at once. You’d think that publishers would be into that. Likewise, with the digital eBook revolution ongoing, we’re licensing more copies of eBooks at once than any mainstream consumer. Look, if I buy an eBook of Ready, Player One, I’m buying one copy of it. Meanwhile, libraries will buy or license multiple copies, at once, and thus put more money into the publisher than I ever will. Dear Publishers. Lots of people use computers. Most of them aren't actually pirates. 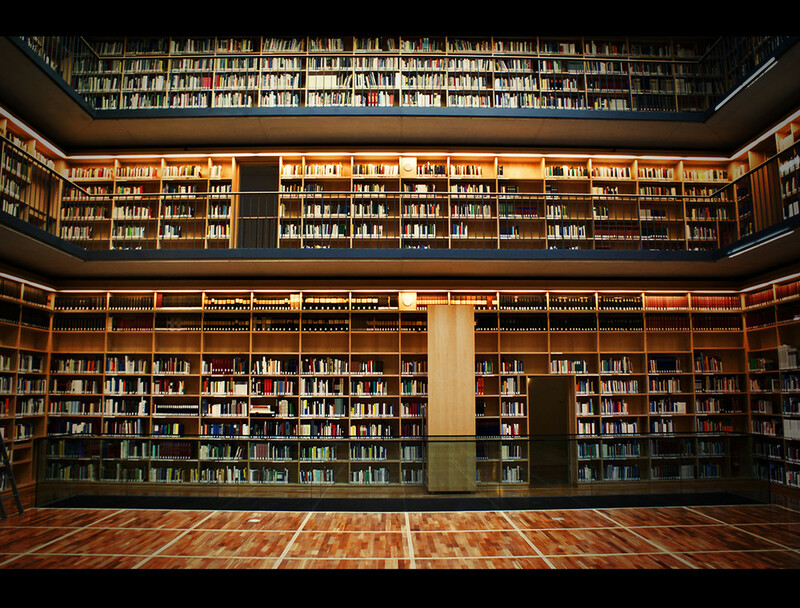 Study after study indicates that library users buy more books than people who don’t regularly use the library. Yet publishers don’t seem to understand that in the same way that the music industry still doesn’t seem to fully understand that people who listen to streaming music on the Internet buy more music than people who don’t. At least the music industry is coming around and things like Spotify actually make it so the recording companies can make money, and no one has to pirate anything. There’s no reason to pirate a song if you have Spotify. You can use Spotify to listen to the song any damn time you want to listen to it. The CEO of Macmillan once compared library eBook programmes to “…NetFlix, but you don’t pay for it,” and went on to ask how that’d be a good business model for publishers. Well, gee, I don’t know. Last I checked, NetFlix has to pay the movie industry a boatload of money to stream movies and thus the movie industry is making money from licensing deals with NetFlix. Spotify, Pandora, and similar services all pay money to the recording industry so they can stream music and so the recording industry is making money from licensing deals with Spotify, Pandora, and so on. Here’s a wakeup call for publishers and content creators everywhere. Streaming is the new lending. When the library lends me a book, I’m not supposed to keep it. I have to give it back. 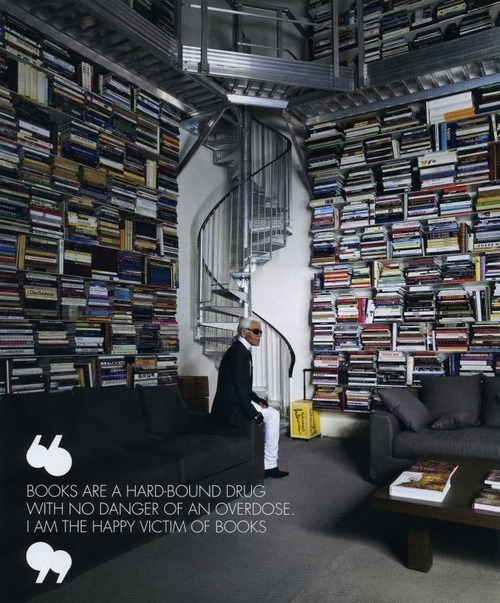 Sure, I could steal it, but most library users worldwide don’t steal library books. Likewise, when I stream a movie from NetFlix or listen to Little People’s “Start Shootin’” on Spotify, I can’t keep those either. I’m just borrowing them. 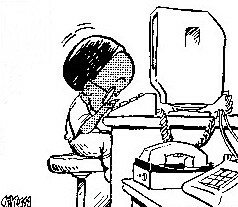 The only difference between checking out a book and streaming something over the Net is that, with a stream, I have nothing to give back. Books can check out anytime you like, but they can never leave. To return to the library metaphor, streaming is like going to a library, looking at a book, and then leaving it there. Does the publisher get cheated? No, because the library paid for the book. I didn’t even take it. I left it there. Maybe I’ll come back and read it again, maybe I won’t. It doesn’t matter much anyway because the library will buy more books even if I never walk through the doors again. Likewise, with an eBook I borrowed from the library, I have nothing to give back there either. The book “returns itself” in that it becomes unusable on my device and it’s noted in the library’s digital collection that the lending period has expired and the eBook can be lent again. So if Penguin and other publishers don’t see all the many ways they can make money from eBook lending, then they have some incredibly short sighted leadership who are cheating not only their readers, but their customers, future customers, and ultimately, their investors. Silent Film @ My Library! I like shooting movies, or at least short videos. I’m no Fellini or anything, though I aspire to be a James Rolfe or something similar. As it turns out, the ability to create short movies can be really useful to a library and library programming. Truthfully, you can accomplish something pretty fantastic if you have some help and, thankfully, I do. And thus an idea was born. I did some writing and enlisted some co-workers at my branch to perform various tasks, most of which was to act as cheesy as possible for a book trailer/event promo for The Big Read. I snagged my camera equipment and, in 45 minutes, we shot the entire thing. Another three and half hours later (give or take), I had a finished film. This video is 100% library produced. It’s done completely in house using our own staff talents. 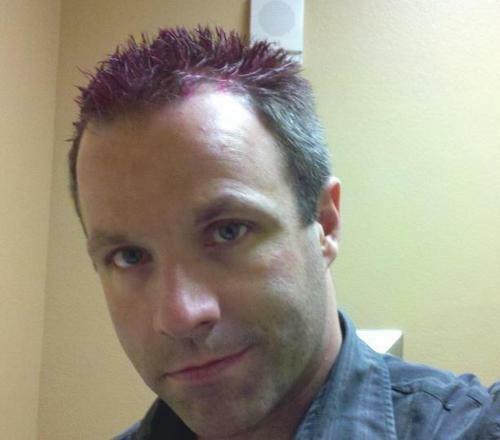 The Evil Librarian is the esteemed Dr. Howard Carron, our Adult Services Supervisor. The Damsel is Sarah Lane, our awesome Youth Paraprofessional. Gatsby is Tony Apodaca, a helluva guitarist and our Adult Paraprofessional. Our random female patron with the hat is Karrie Romero, a Youth Librarian. The other lady patron without the hat is none other than Holly Paxson, the Branch Manager. I make a quick cameo because, quite frankly, someone had to do it. The thing was shot on site at our branch library. 100 PERCENT IN HOUSE. This is what you can do with your own talents and your own people. Watch our video and then, dammit, go make your own! 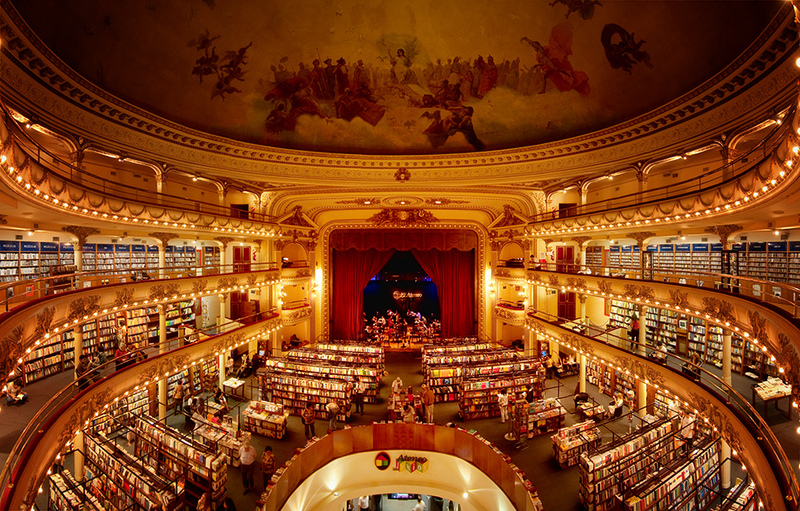 What happens when you buy an old theatre and convert it into a bookstore? A classic children’s books series is the inspiration for a beautiful animated movie by Hayao Miyazaki and Studio Ghibli. Anime fans and Japanese culture fans know Miyazaki for films like Princess Mononoke, Ponyo, Kiki’s Delivery Service, and Castle in the Sky. 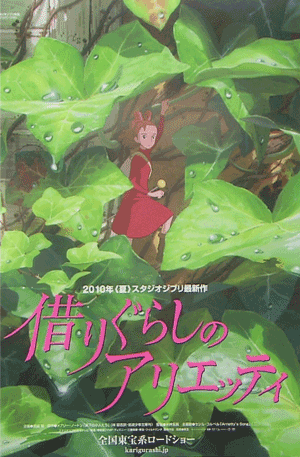 Arrietty the Borrower (借りぐらしのアリエッティ) is based off the The Borrowers series by Mary Norton and, like the books, focuses on a young, and very tiny, girl who lives in a dollhouse. She and her family are borrowers, taking the occasional thing they need from the massive humans and generally keeping out of sight. However, like many 14 year old girls, Arrietty is curious and humans fascinate her, which leads her into adventures and danger when she comes into contact with humans who wish to somehow profit from her kind. Since we’re talking Studio Ghibli here, you know the animation is superb and absolutely beautiful. It won’t see a US release until February of 2012 which is horrible because I don’t think I can wait that long! Dig on the trailer below because, if you love Miyazaki’s work, you’re going to be enchanted by this.